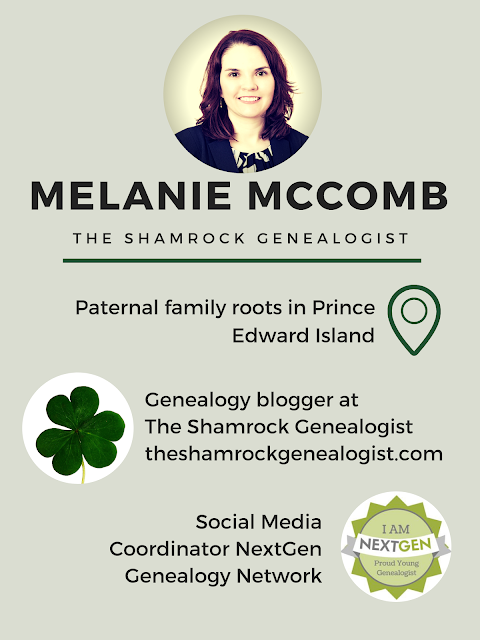 This week on Genealogy with a Canadian Twist we have Melanie McComb, The Shamrock Genealogist. Melanie has paternal roots in Prince Edward Island. She will be sharing with us her knowledge of PEI resources and repositories, as well as some tips for researching in the other Maritime provinces.